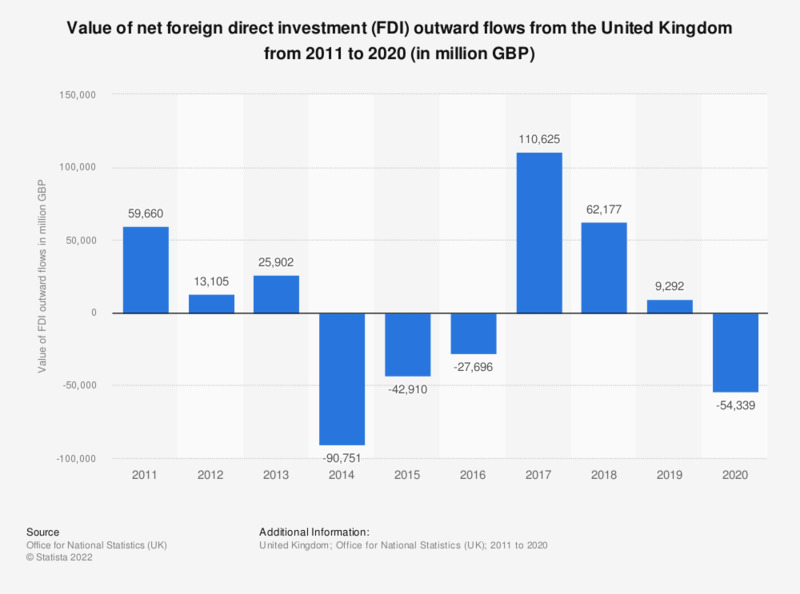 This statistic shows United Kingdom (UK) companies' net foreign direct investment (FDI) worldwide from 2006 to 2017. In 2014, the UK experienced global net disinvestment abroad for the first time during the period. However, in 2017 the net FDI experienced an increase to 91.5 billion British pounds.